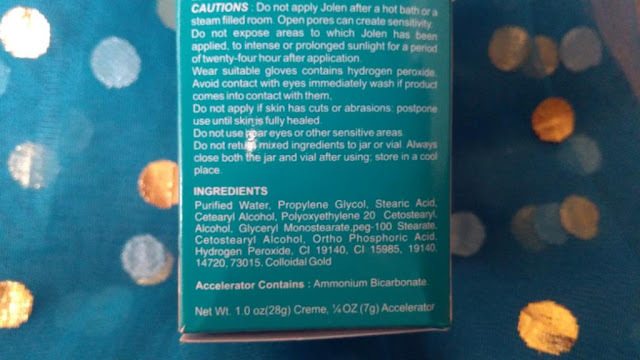 The product was first formulated at Jolen Inc by Mrs. Evelyn Kossak along with her husband Mr. John Kossak that became one of the most popular skin care product with women worldwide. I honestly never bothered to check what all products Jolen retails beyond bleach and hair remover crèmes. But one thing was obvious that Jolen's is the No. 1 crème bleach in the world when it comes to product uniqueness and quality. Being the largest manufacturer of bleach, Jolen was and is a household name and an undisputed choice of customers globally. Dealing with unwanted dark hair on your face or body can be daunting. 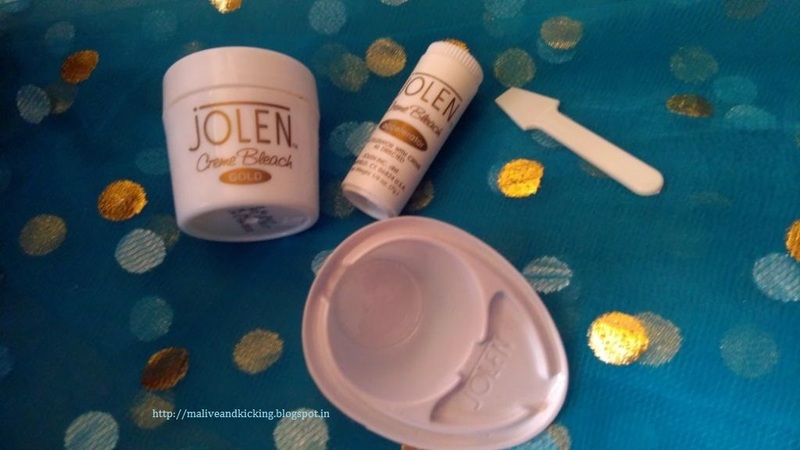 Jolen offers the quick, safe & gentle solution to blend hair with your natural skin tone, making it virtually invisible. This pack contains a cream, activator, mixing cup and a tiny spatula that enable to apply the bleach on face and other body parts easily and effectively. 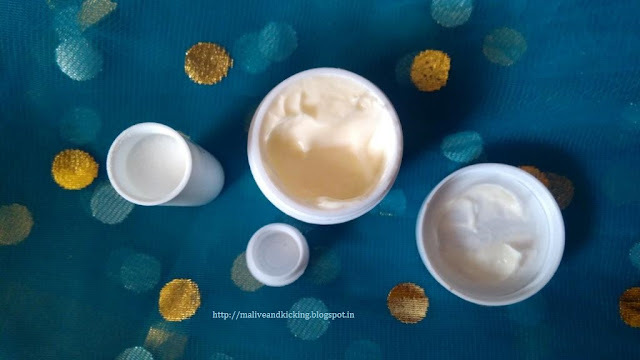 The cream comes in a plastic tub, while the activator comes in a tall cylindrical jar. I mixed the quantity in the nixing cup as per suggested measurement on the packaging and did a preliminary patch test behind my ear to test its reaction to my skin. 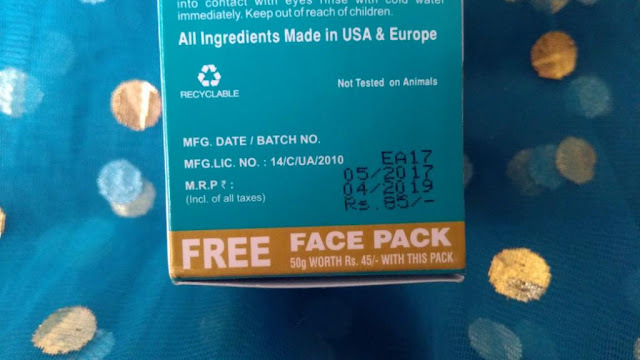 After the product passed this test and didn't cause any allergic reaction, I smeared a thin layer of product preparation on my entire face and neck. I intentionally didn't go for bleaching only specific part of my face like upper lip, because it looks weird after the change of hair color. Though I barely have any visible dark hair on my face, but everyone has those ingrown facial hair; hence it came the decision of using this bleach. The bleach gives tingling sensation to skin for a minute of so and also stings in eyes which is bearable. Also it's customary with almost every product in this line, so I didn't fret. The bleach doesn't smell pungent, and it's a plus for everyone who hate sharp smell. Leaving the cream on skin for less than 10 minutes turned the color of my facial hair into something matching to my skin tone. The tanning on the temples of my forehead got much faded in the first use itself. It didn't feel stretchy after wiping the product off my skin. But I still gave a boost of light moisturization. I simply loved the glow on my face that the product imparted instantly. I used almost one-third quantity in one use and I expect I can use the remaining quantity two times more (if used on face). 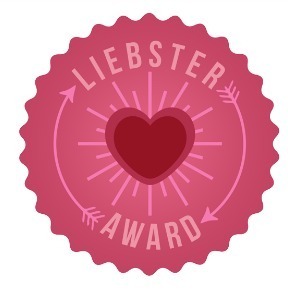 I'm totally satisfied with the result. 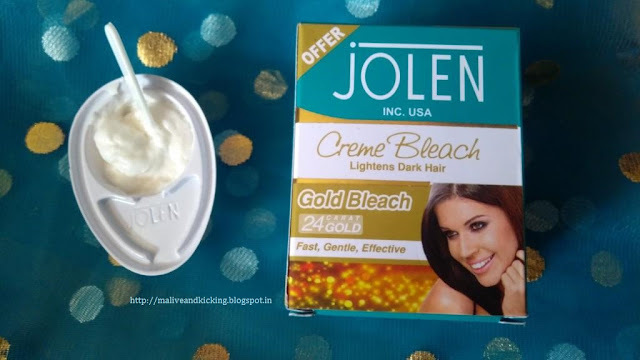 The Jolen Gold Bleach is priced at Rs 85 only for 35ml which super affordable. 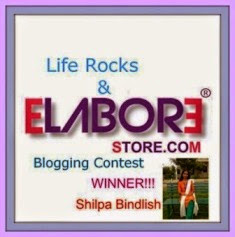 The shelf life is also long enough i.e. 2 yrs. 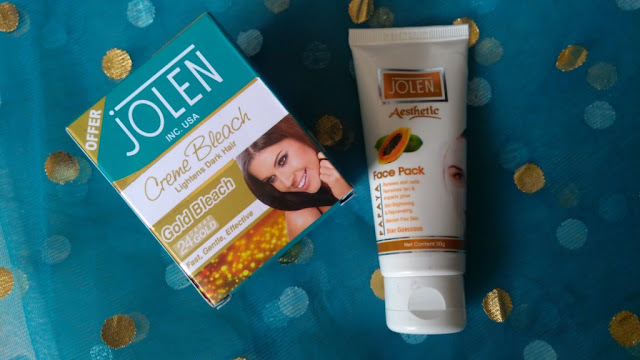 Here's a great deal on Jolen Gold Bleach. 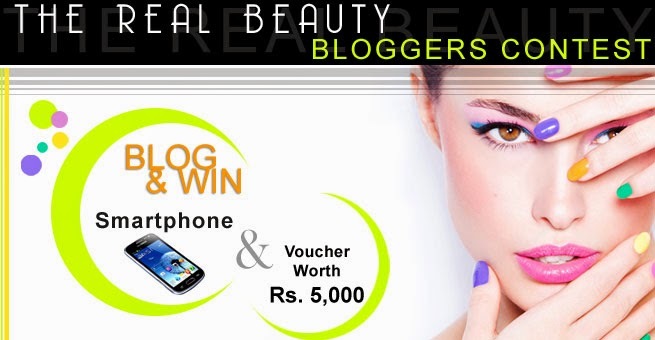 You get a papaya face pack worth Rs 45 with it. That simply cuts down the cost of bleach pack to almost half the price. 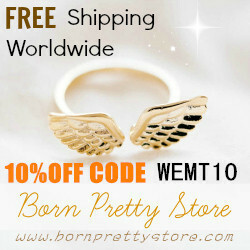 Jolen products are easily available at local stores and on online portals. I would recommend to use it at the comfort of your home for a party-ready face instead to rushing to a salon for the services. Labels: Gold Crème Bleach, Jolen, Review. 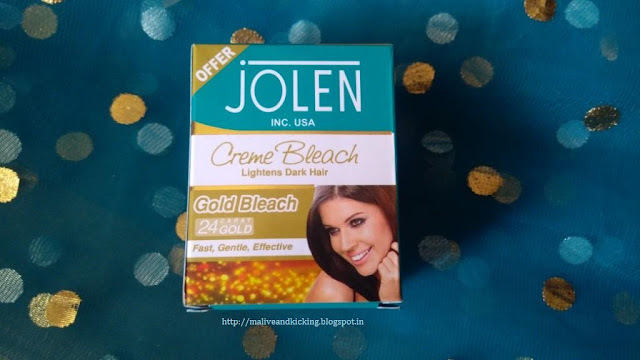 yeah, jolen is one of the most popular name for bleach.